Muji made a refreshing entry into the Japanese market in the early 80's, with about 40 products on offer, which were designed around a culture of simplicity and social responsibility. The Muji brand was aimed at providing premium-quality, eco-friendly products demanded by a modern, busy, urban lifestyle. Muji laid emphasis on the use of minimalistic design, while highlighting the importance of recycling and initiating environment-friendly processes in production. Soon Muji was ready to take the market by storm with its eco-conscious merchandise, and many “Mujirers” showed their support. 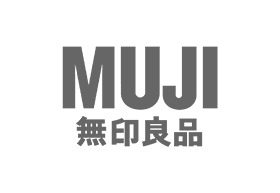 By the late 2000s, Muji had over 7000 products to its name. Muji is known to sail on a path different from most competitors and market giants by following a “no-brand” strategy. The brand markets itself through a no-logo, no-brand mantra, and believes in the quality of its products. Muji products are durable, thanks to the use of top quality material and processes that are optimized to reduce wastage and control carbon-footprint. The Muji clothing line uses natural materials to create both, everyday essentials and timeless pieces that can be worn during any season. The use of organic cotton, linen and other eco-friendly fabrics is characteristic of the brand, a retail haven to the eco-conscious shopper. The Muji outlet debuted in Australia at Chadstone, serving up an extensive range of earth-friendly offerings to its customers. The best part about the Muji shopping experience is that customers get to customize their purchase at a “stamp table”. Muji has an exclusive t-shirt released with a rubber square, where shoppers can add customised messages or logos, to make it their own in more ways than one! The store is located on the lower level of the mall, and shoppers can choose to park in the nearby car parks A and F.